It was an evening that came alive to the throbbing beats of Indian golf. 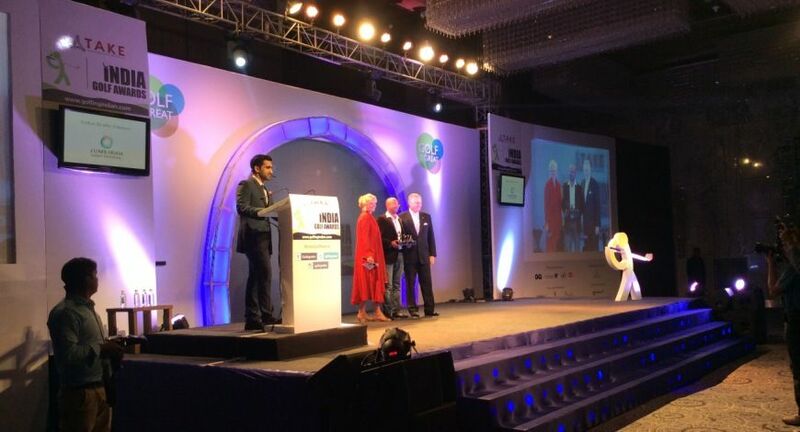 A glittering collection of golfing royalty came together inside an elegant setting at the Take Solutions India Golf Awards at the JW Marriott Aerocity in Delhi for the third edition of the bespoke event. Amitabh Kant, the IAS officer at the centre of the "Make in India" campaign and CEO of Niti Aayog, presided over the event, while eminent golfer Daniel Chopra made an emotionally charged address about the state of golf in India. 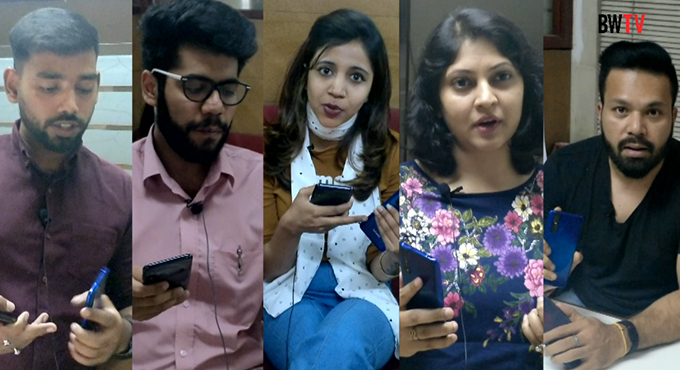 S Chikkarangappa was awarded the Best Pro Male award, while Aditi Ashok and Vani Kapoor shared the Best Pro Female award. Anirban Lahiri was anointed a global golf ambassador given his status as the most recognized Indian golfer of the present era. His success over the last year and his presence on the PGA Tour have helped place India on the global map of golf. "Lot of people are asking me questions about India and golf in India. For me to be able to represent my country is really special and I hope to be able to carry that flag really high," Lahiri said on receiving the recognition. The India Golf Awards are the most prestigious recognition in Indian golf and yet again a strong jury deliberated for long hours before arriving at their choice in each category. 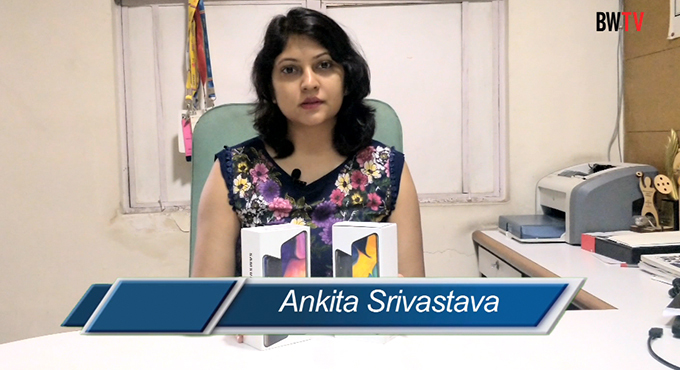 Knowledge partners Technopak ensured that the process remained transparent and objective. The winners included some of the best performing players in the past season as well a selection of awards for corporate honchos and long-time supporters of the game. Arun Muruggappan and Pawan Munjal received acknowledgement for their unstinted support to the game in India as Best Corporate Golfers. The game in India would not be sustainable but for the generous support of corporate India. In recognizing Khalin Joshi, Shubhankar Sharma and Gursimar Badwal, the Indian Golf Awards underlined their growing prominence as talents to watch out for in the years to come. The work done by Vijay Divecha and his academy at Eagleton was picked for special praise under the Best Golf Academy category. Anitya Chand and Bamby Randhawa were recognized as the Best Teaching Pros in the country. Kensville was awarded the Best Golf Course in the country. Gautam Thapar of Avantha was praised for his support for the game and his efforts with PGTI and received the award for best corporate contribution to golf. 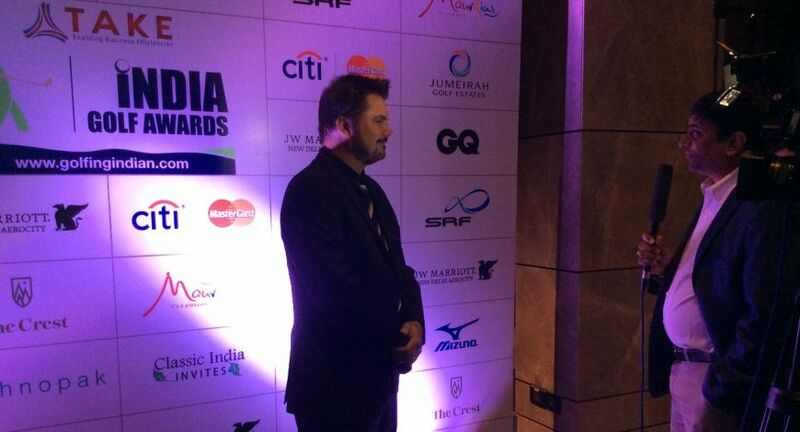 The awards are a brainchild of Shaili Chopra who has been at the forefront of this digital initiative www.GolfingIndian.com to narrate everything golf to a growing number of Indian golf fans. GolfingIndian.com is the primary source of everything golf in India. "There is a need to give back to the game. These awards set new global benchmarks with every passing edition. The very best in the game get the recognition they deserve. It’s really unique because it’s here that golfing corporate honchos, celebrities, bureaucrats, national leaders all are rewarded for their game on the same stage as golf's professional maestros from India and the world in a bespoke and stylized ceremony." TAKE Solutions has been the main supporter of the awards since inception and continue their relationship as they play their hand in strengthening golf in India through their unflinching commitment to the game. The Vice Chairman HR Srinivasan, who is prolific golfer himself says, "We are proud to be associated with India’s foremost award ceremony recognizing excellence in golf. It is exciting to witness all of golf’s brightest stars as well as corporate supporters of the sport on a single platform. 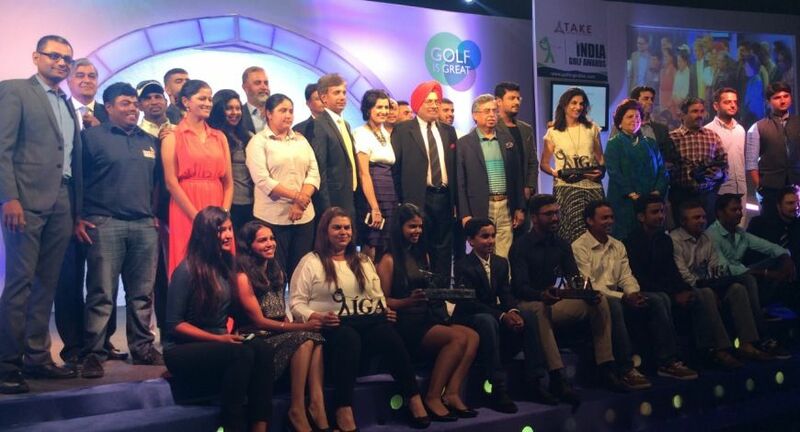 The TAKE Solutions India Golf Awards is truly an emphatic step towards placing Indian golf on the global map."